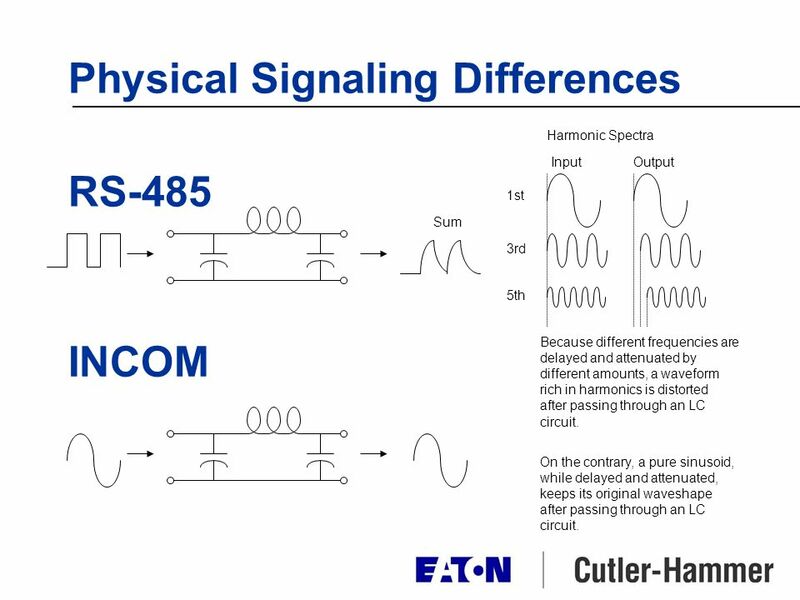 RS-485 INCOM Sum Because different frequencies are delayed and attenuated by different amounts, a waveform rich in harmonics is distorted after passing. 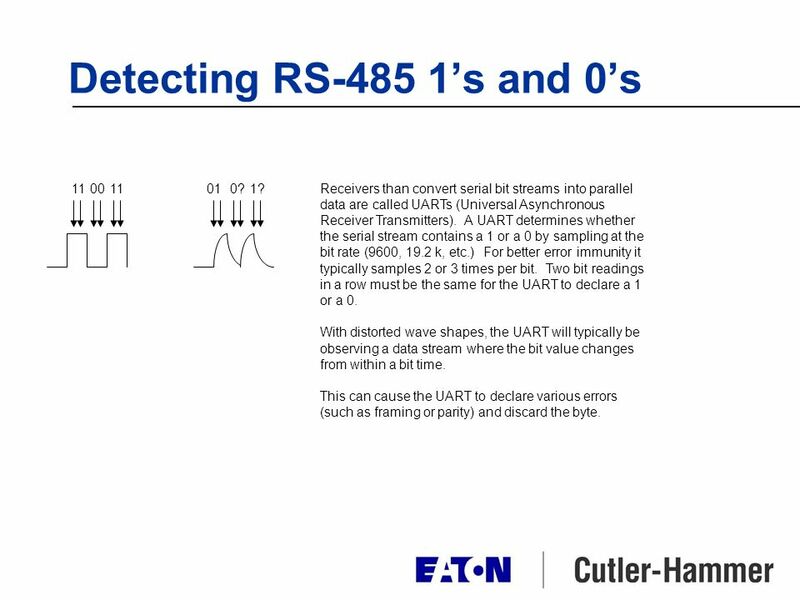 2 Detecting RS-485 1s and 0s Receivers than convert serial bit streams into parallel data are called UARTs (Universal Asynchronous Receiver Transmitters). A UART determines whether the serial stream contains a 1 or a 0 by sampling at the bit rate (9600, 19.2 k, etc.) 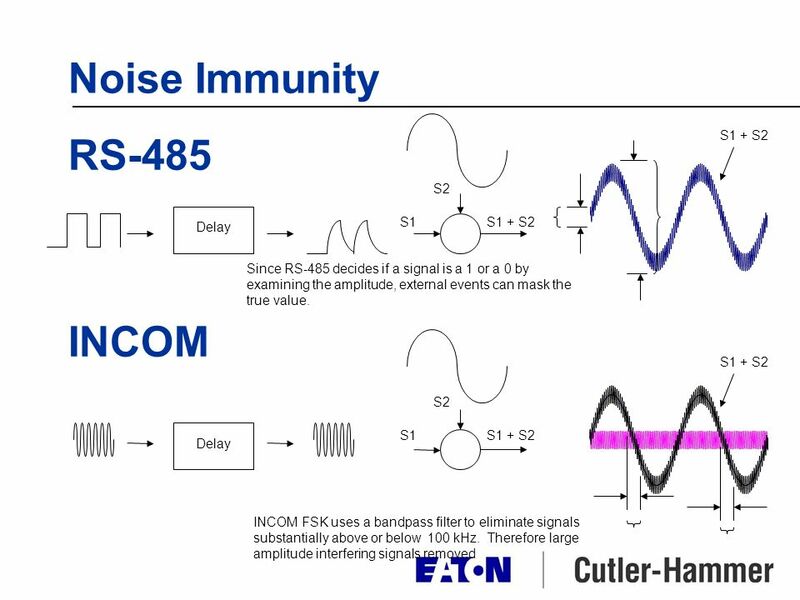 For better error immunity it typically samples 2 or 3 times per bit. Two bit readings in a row must be the same for the UART to declare a 1 or a 0. With distorted wave shapes, the UART will typically be observing a data stream where the bit value changes from within a bit time. This can cause the UART to declare various errors (such as framing or parity) and discard the byte. 110011010?1? 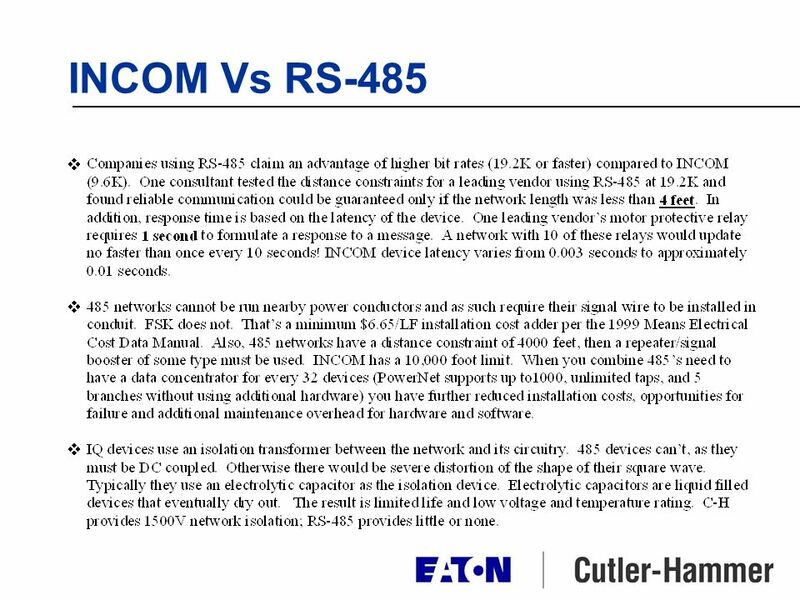 Download ppt "RS-485 INCOM Sum Because different frequencies are delayed and attenuated by different amounts, a waveform rich in harmonics is distorted after passing." 2 nd ADVANCED COURSE ON DIAGNOSTICS AND DATA ACQUISITION Instrumentation Buses, Digital Communication and Protocols J. Sousa. 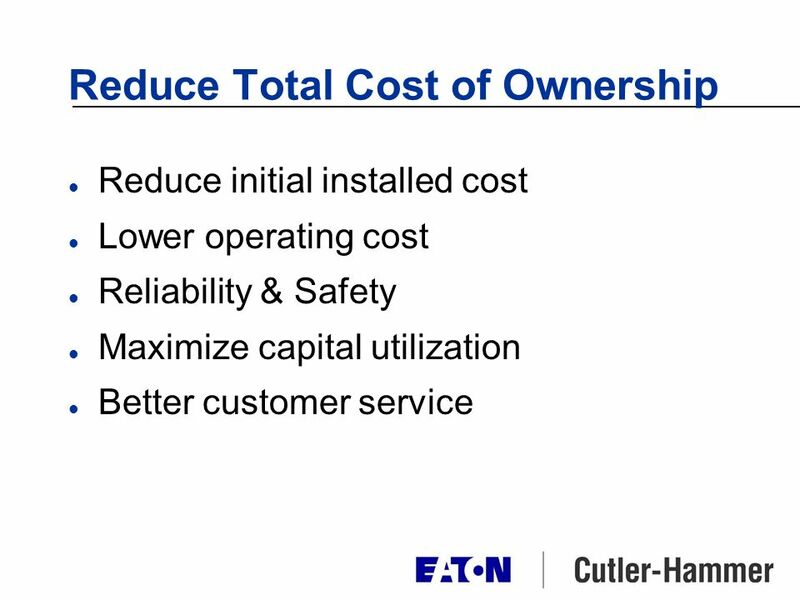 1 Lecture 2 Transmission Line Characteristics 1. Introduction 2. Properties of Coaxial Cable 3. Telegraph Equations 4. 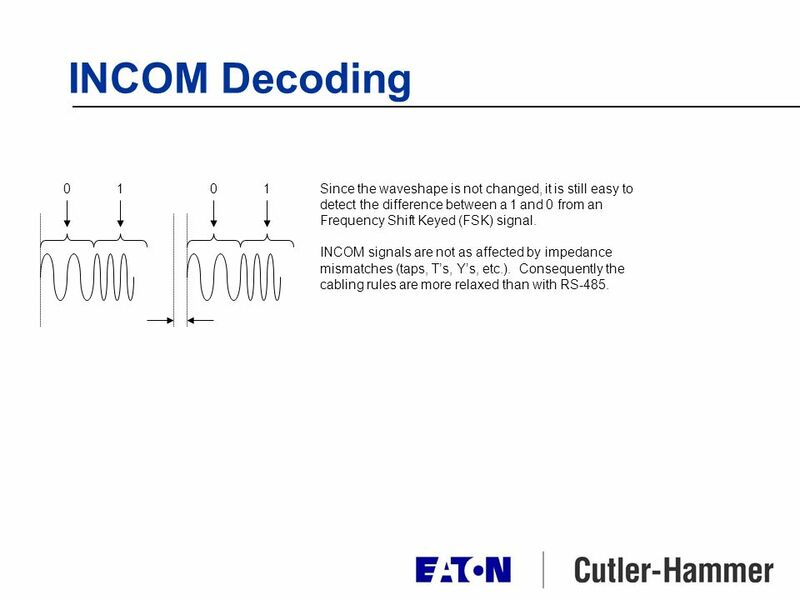 Characteristic Impedance of Coaxial. Module Ethernet Technology Module Ethernet Technology. 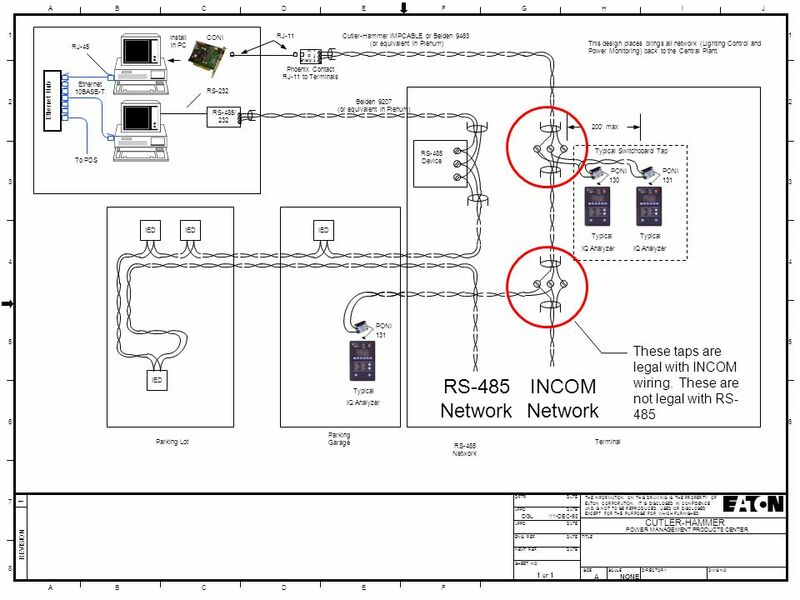 SUNY Ulster Cisco Semester 1 Unit 4 – Cable Testing K. Wick CCAI. 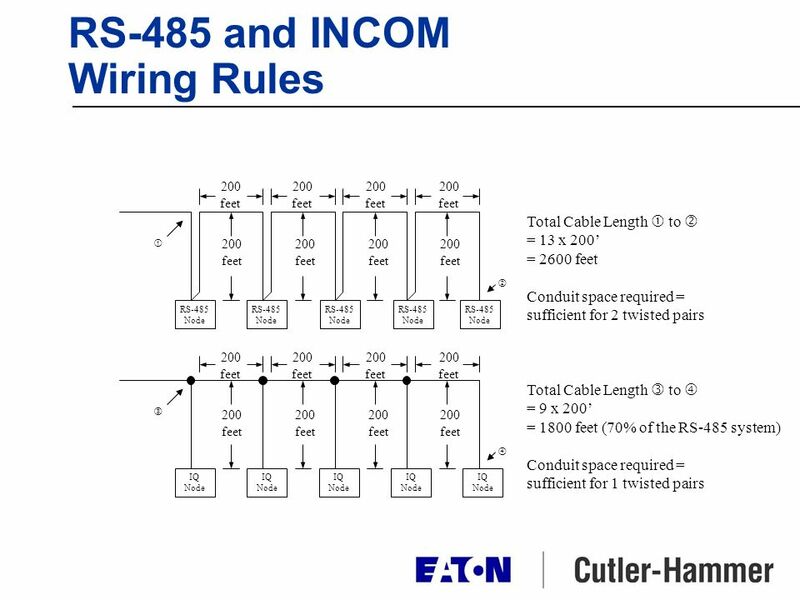 KV / kV2 Meter RSX Option Board (RS-485 mode) Connections Notes: 1) TP1-1 = Twisted Pair set #1, wire #1 2) TP1-2 = Twisted Pair set #1, wire #2 3) TP2-1. Project Detail – Denver Airport l 34 Million passengers/year l 53 sq. km l 3000 separate metering devices n Submetering down to kiosk level (in-airport. 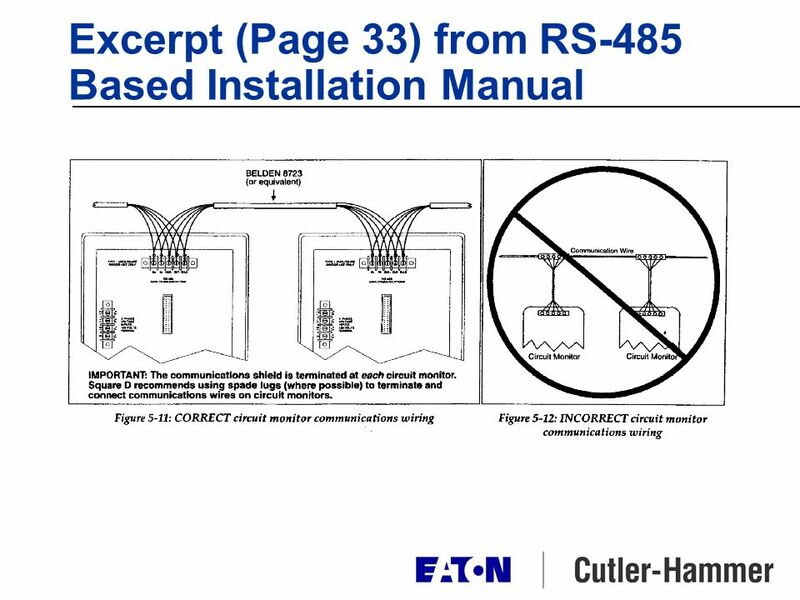 EUT 1040 Lecture 10: Programmable Logic Controllers. 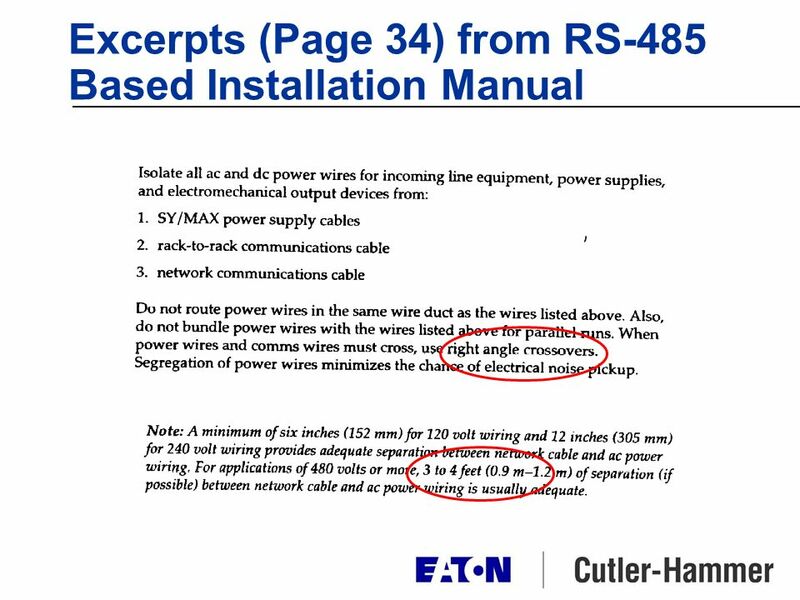 Storey: Electrical & Electronic Systems © Pearson Education Limited 2004 OHT 5.1 Signals and Data Transmission  Introduction  Analogue Signals  Digital. COMMUNICATION TECHNOLOGY by Shashi Bhushan School of Computer and Information Sciences. Spring EE 316 Computer Engineering Junior Lab Serial Ports.